I am honored to serve the residents of the 18th Congressional District of Pennsylvania. I represent Pennsylvania’s 18th Congressional District in the 116th Congress (2019-2020). Every ten years, Congressional Districts in each state are redrawn to reflect the changing demographics documented in the most recent census, as required by the U.S. Constitution. On January 22, 2018, however, the Pennsylvania Supreme Court decided that the Congressional district lines approved in 2011 violated the Pennsylvania Constitution. 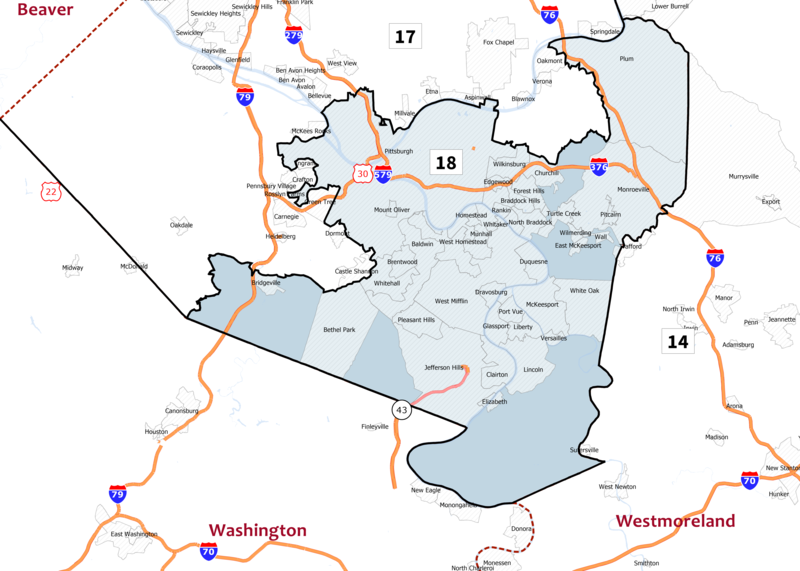 On February 19, 2018, the court issued a plan with new Congressional district boundaries for the 116th Congress (beginning January 3, 2019). These district boundaries will remain in effect until the lines are redrawn again after the 2020 census. Each of Pennsylvania’s new Congressional Districts contains just over 700,000 people. Pennsylvania’s 18th Congressional District is located in southwestern Pennsylvania. The 18th Congressional District consists of 54 municipalities in Allegheny County. The City of Pittsburgh is the largest municipality in the 18th Congressional District. It contains more than half of the district’s population of 705,000 people.